Similar to the price drops Toronto experienced in early January, Air Canada Vacations is once again selling off some seats to Great Exuma Island, Bahamas (GGT) at a very low price. The difference this time is that the flights aren't last minute, and they're not exactly the ideal months to be heading to the Bahamas, as they're in May & June, as opposed to escaping the Canadian winter. Definitely still a great price for this route though. Update: May 12 @ 11:16 PM EST - May 17 to May 24 has just dropped to $199 CAD, roundtrip including taxes. For live discussion of this deal, or to get some amazing travel advice (to anywhere) from 23,843 real travelers in Toronto, join us in the YYZ Deals Facebook Group. Special thanks to group member Rishi for sharing this great find! 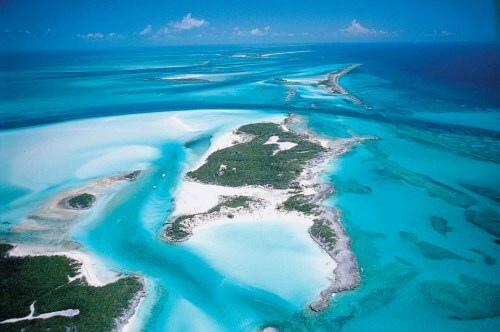 10 Responses to "Toronto to Great Exuma Island, Bahamas - $197 roundtrip including taxes"
When you reach the first page, you have to make sure that you're searching for FLIGHTS ONLY instead of Package. The combination I tried was June 21st to June 28th. No problem guys, I added a comment to the blog post, a lot of people miss the step about clicking on 'Flights' before searching. As awesome as this is, staying there will not be cheap. i guess im just to cheap a person. cool find tho. Joel it could be worth checking AirBNB, I saw some that were reasonable.